Demolition, Mold (Mould) and Asbestos Removal Services by Urban Environmental. Here in British Columbia, we are blessed to live in a rain forest on the coast. We avoid those nasty winters that the rest of the country gets, and we get our rain and plenty of it. However, rain does mean that we live in a damp climate which in turn does increase the potential for mould in a home. Here at Urban Environmental, we are certified mould abatement professionals and thus have brought together the three common moulds we see on site here in the Greater Vancouver Regional District. 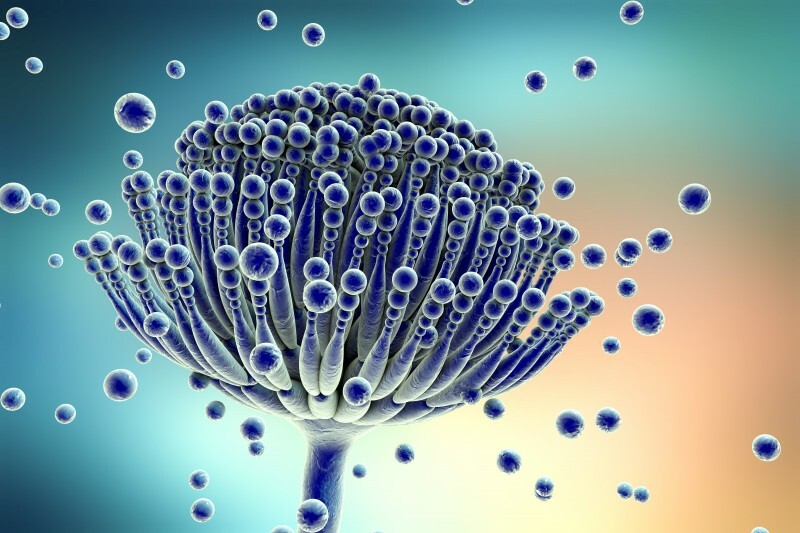 Aspergillus mould is your common mould that grows in wet, damp conditions. This growth is best known to affect foods and vegetables, but in some cases can affect the overall home. Typically, you will find Aspergillus in air conditioning units due to the damp and often dead air inside the unit. This can cause some issues as mould spores will be able to quickly infiltrate the home, and start to affect the homeowner. Aspergillus is quickly dealt with, but delaying treatment can cause significant risk to both your cardiovascular and respiratory system. Cladosporium is the second most common mould on the west coast, and is best described as a pepper like substance and is either black or green in colour. We have seen this mould everywhere in a home, but typically you will see it growing on the back of toilets, painted surfaces that are prone to water or moisture and fibreglass air ducts. Although this mould is non-toxic in nature, it has been proven to trigger common allergy symptoms in many of our clients. These symptoms include things such as sore throats, rashes and red or watery eyes. It is best dealt with quickly to eliminate any potential issues. Black mould is one of the most dangerous and fast-spreading moulds on the west coast. The spores are known to be able to multiply quickly and will spread to any organic surface that it can. This includes drywall, carpet, insulation and even sub-floors. A full black mould infestation can be an expensive and robust abatement process and is best left to the professionals at Urban Environmental. Health concerns with this mould mainly revolved around the respiratory system and are especially dangerous to the elderly and children. If you or a loved one is dealing with mould issues, they need to call the team at Urban Environmental. With our mould abatement services, you can get your home and your health back from these tough little spores! Asbestos, where could it be?